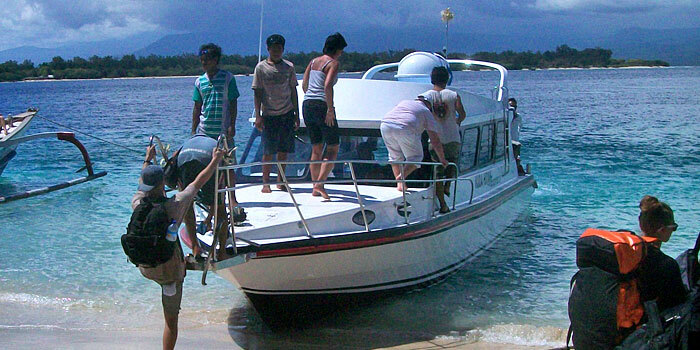 Kuda Hitam Express is specialist boat transfer from Amed (Bali) to Gili Trawangan, Gili Meno, Gili Air and Lombok. 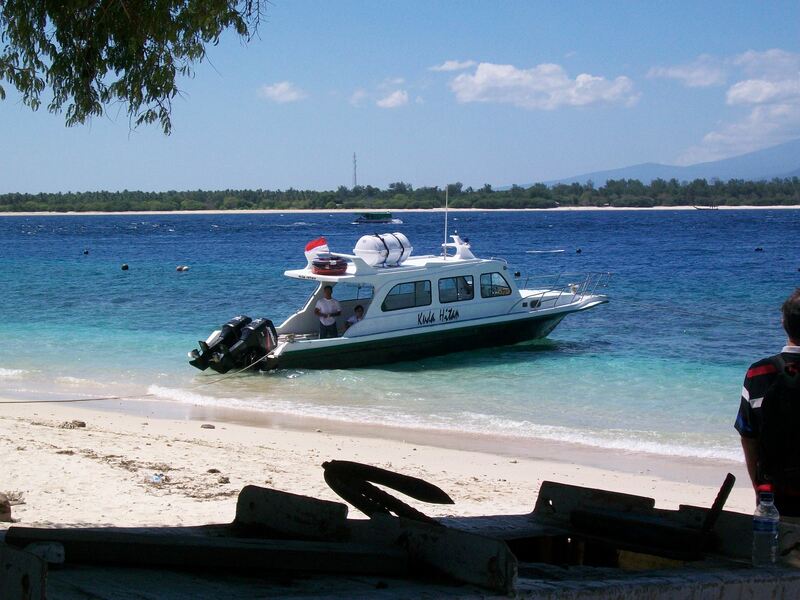 You will be transferred only a hour from Amed to Gili Island. 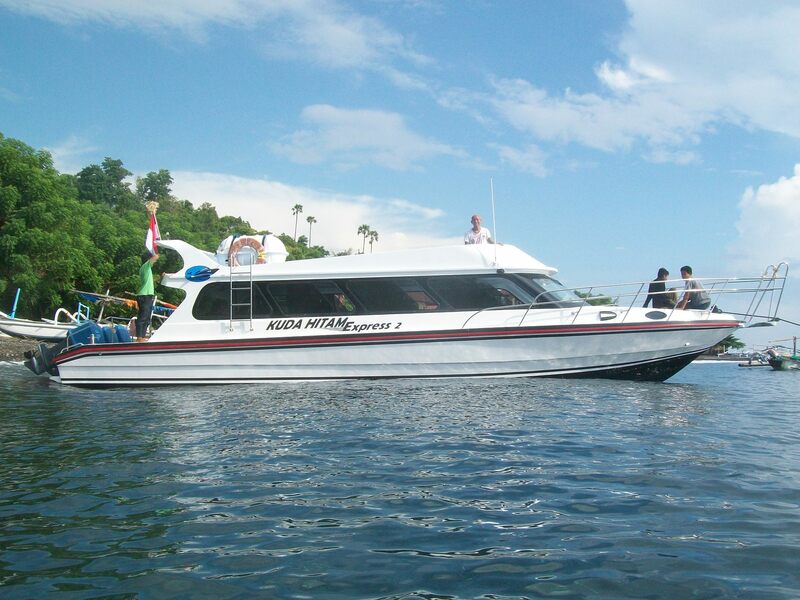 Kuda Hitam Express takes us to be the first to arrive in Lombok! 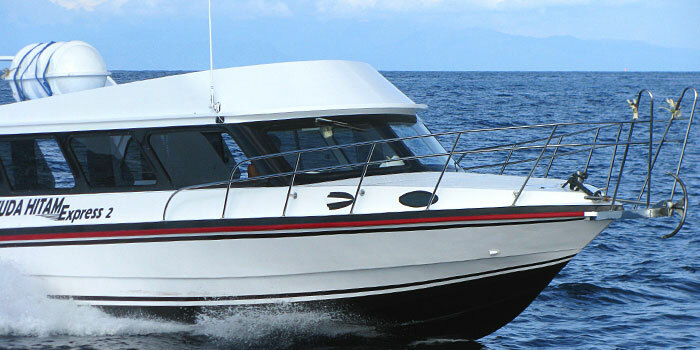 It is a modern fast boats service provider has been in operation for five years. 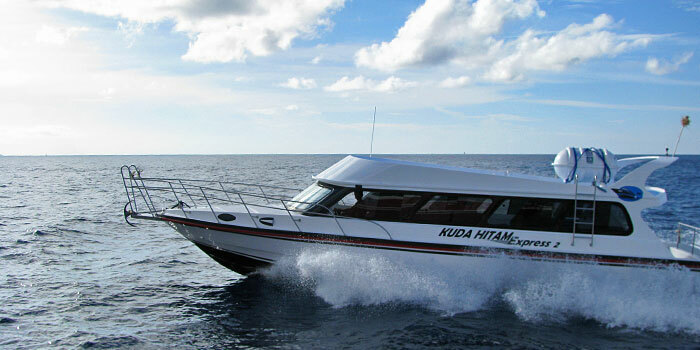 The Kuda Hitam Express offers daily service from Bali. 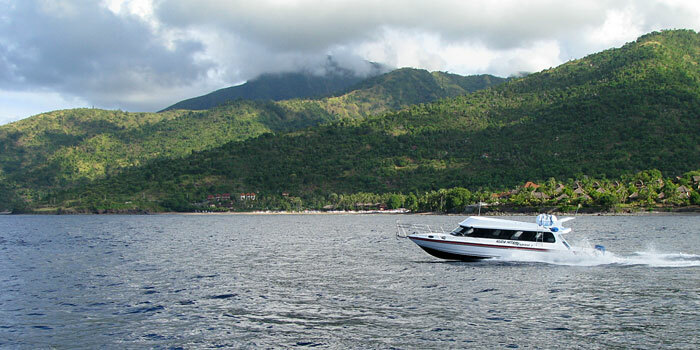 It departs from Amed beach Bali to Gili, Amed beach to Lombok and has a stop to Gili islands on the way of sailing. 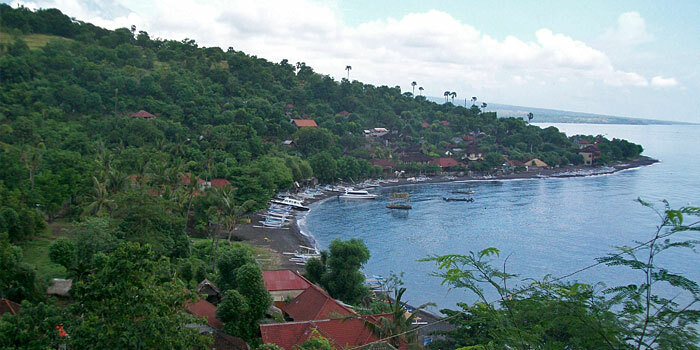 Amed beach is located in the North East of Bali. 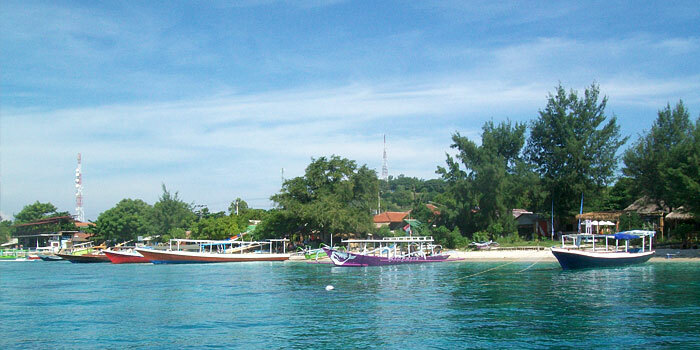 It can reach by car at least for 4 hours long driving from Kuta and Seminyak. It’s so exhausting for some people. 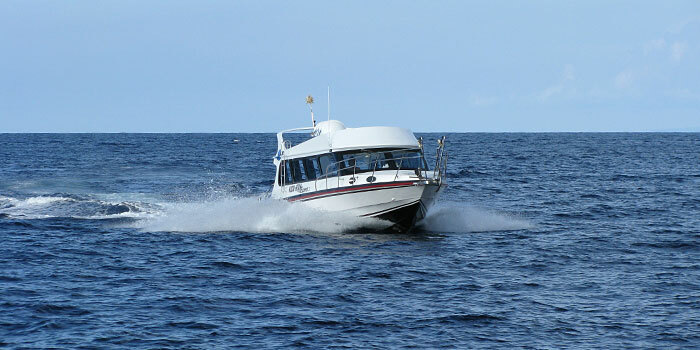 So, taking the fast boats will keep you away from getting stressed because of driving too far. 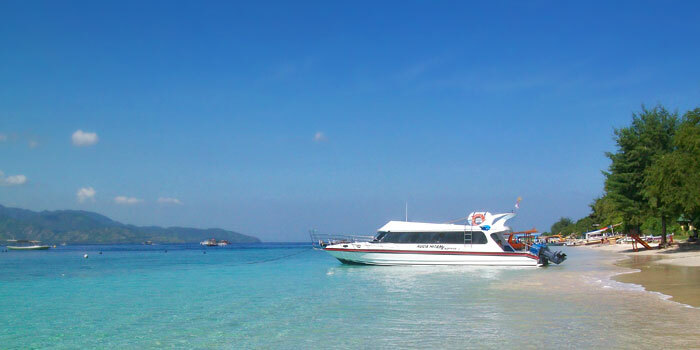 You don’t need to worry about the route and get more spare time during you holiday. 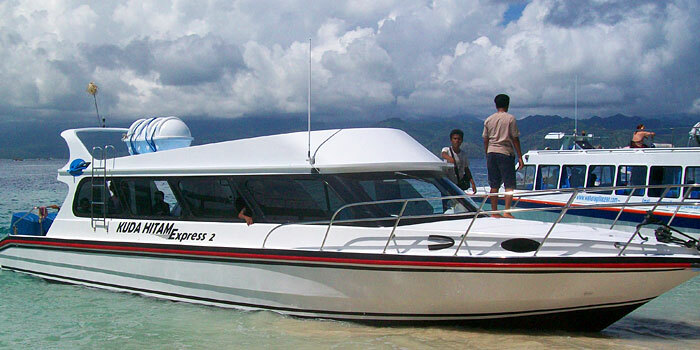 It takes to about 3 hours long include land and sea transfer. Special for you who’re staying in your hotel at Tulanben or Amed area, you’ll be picked up from your hotel. 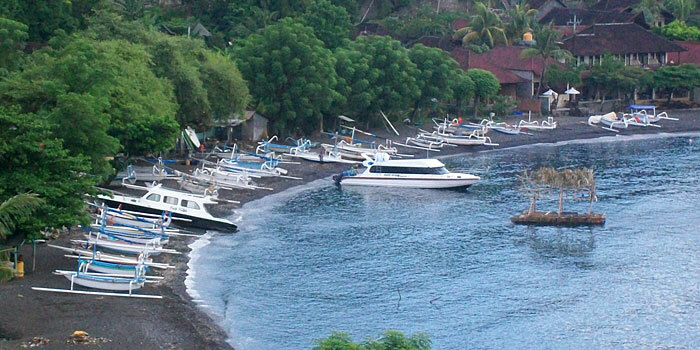 It’s takes about an hour to get Candidasa, if you’re staying there. You can request a shuttle service too, but there will be a cheap extra charge for an hour shuttle service. You can ask the staff at the hotel you’re staying to get more information about Kuda Hitam Express, they should be happy to help. 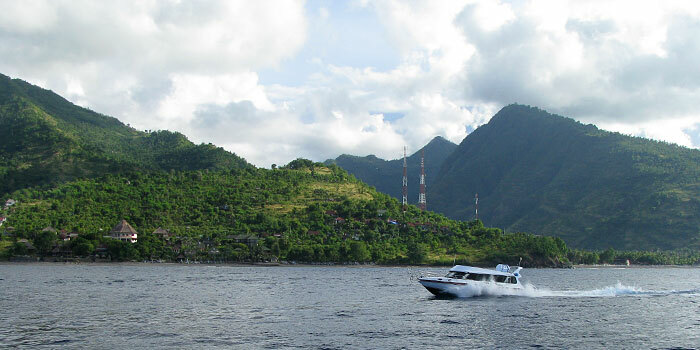 A trip by fast boat is something really special, it’s because both Bali, Lombok and Gili Islands has many maritime destination. 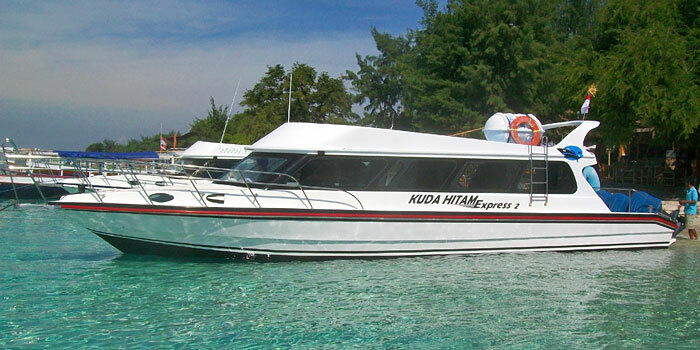 Kuda Hitam Express often offers on tickets from Bali to Lombok and Gili islands. 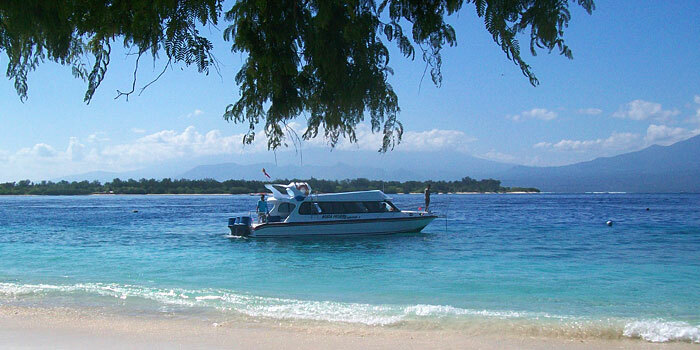 The price includes visitation to Gili Air and Gili Trawangan, then moves to Lombok. Check the ticket availability in searching feature of this site and follow the steps of booking. You welcome to pay via credit card or PayPal. You will your e-ticket by email. You’re welcome to arrange a drop off service at Legian Airport in varieties shuttle service, about IDR 250.000 – 550.000. 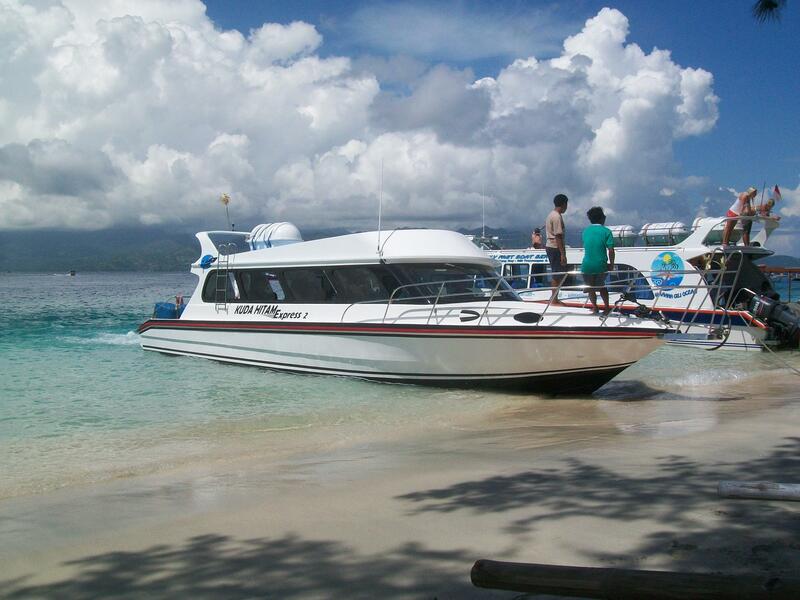 You will be picked up and dropped in Candidasa, Ubud and Lovina and Kuta, Seminyak, Legian, Airport. The shuttle service time is vary from forty-five minutes to about three hours. You can pay for these services directly to the Kuda Hitam Express in the day you intend to travel. The time of pick up is around 7.30 – 8.00 am, depends on where you need to be picked up. Your hotel staff can give to advise what time to expect to be picked up. Once you have made your booking, you will be contacted for confirmation. 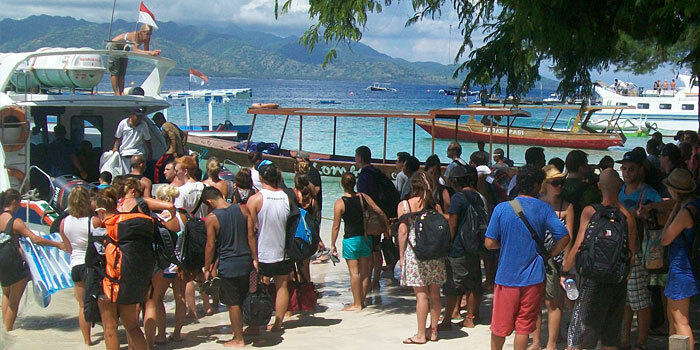 You will arrive back in Bali at around 01.15 PM. 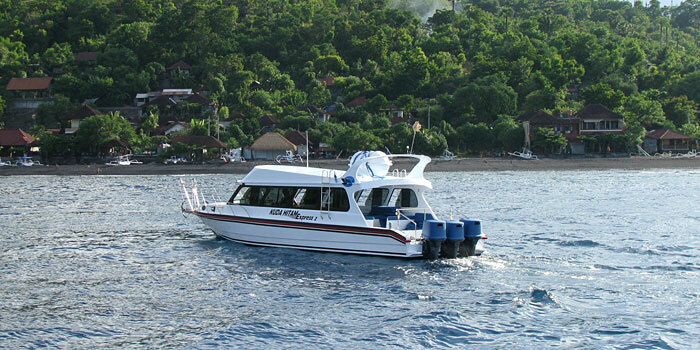 The service includes the transfer by road to your hotel in the Bali area. 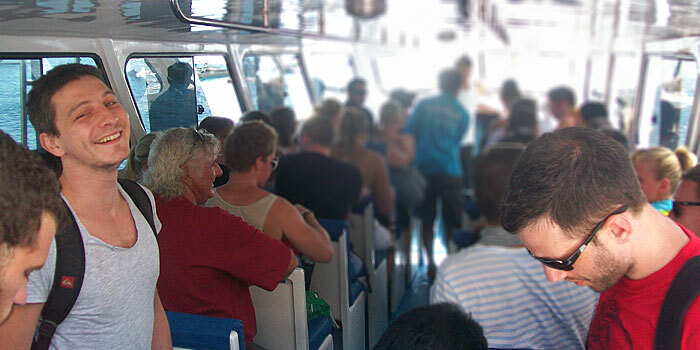 If you decide to arrange your own mode of transport to the harbour, then check in thirty minutes before the boat is due to depart. 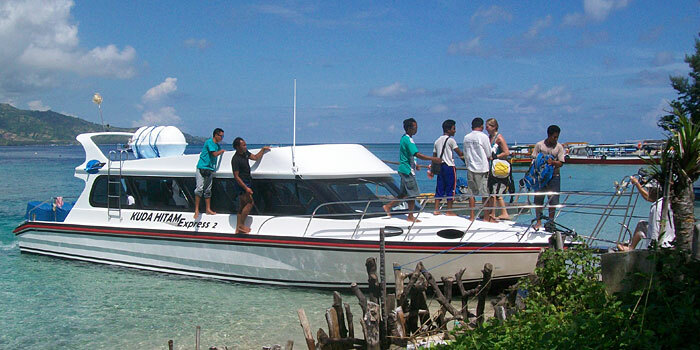 Any other return destination either Padang Bay or Benoa directly by fast boat still can be organized.